This is the story of an investigation into the background and early life in England of my paternal grandmother, Florence Anderson (nee Britton), who always believed she was illegitimate, of unknown parentage, abandoned as a baby on the doorstep of the family of Mrs. Jane Harding (nee Heaton/Freestone). Florence had been told that the Freestone family had given her the surname Britton because they knew only that she was British. Florence emigrated from England to New Zealand in 1908, accompanied by a widowed Jane Harding and her children. During their voyage on the steamer Ionic, Florence met my grandfather, Alfred Anderson, and they were married in Wanganui on 1 August 1908, soon after their arrival, apparently spending their honeymoon canoeing on the Wanganui River. My father Eric Robert, the eldest of their seven children, was born the following year on 19 July 1909. At the time she was abandoned, Florence had reputedly been left with a sum of money to finance her upbringing. This may or may not have been true but she was certainly not penniless when she arrived in New Zealand, being able to assist financially with the purchase of a house in Wanganui following her marriage. Florence’s background was rarely discussed during her long and happy life in New Zealand. She was always reluctant to talk about her early years in England, other than to say she came from County Durham, and refused to accompany her husband when he made a return trip to England at the time of the Festival of Britain in 1951. It was rumoured in her family, however, that she was the illegitimate child of Jane Harding (always referred to as Aunty Ginny), speculation that was fuelled by an old photograph of Florence as a toddler sitting on Jane’s knee. Jane suffered badly from arthritis in her later life and my father, when severely ill with rheumatoid arthritis in 1967, apparently speculated whether he had inherited the condition from Jane. It is puzzling, in hindsight, that in all the years prior to Florence’s death on 29 March 1963, no-one in her family ever questioned her about her early life or tried to establish whether she knew more about her background than she was prepared to admit. One of her daughters, Jean, did once confide in me that she well remembers one occasion when she thought her mother was on the point of revealing all but was dissuaded from doing so. The right opportunity never presented itself again. The receipt of a letter in 1992 from Florence’s eldest daughter, Mary, prompted this investigation. 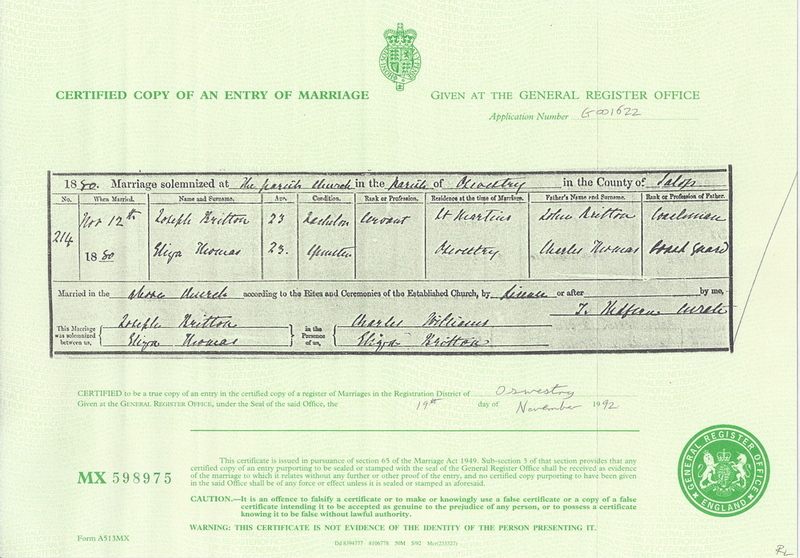 Enclosed was a copy of the marriage certificate of Florence Brittain (spelt that way on the certificate) and Alfred Anderson. The bride’s parents were recorded as unknown but, more informatively, her age was given as 26 and her birthplace as the Parish of Bagby, Yorkshire, England. Minnie Harding, Jane's daughter, is recorded as a witness at the wedding. From the Anderson family bible we had in our possession, we knew too that Florence's birthday was celebrated on 29 November. The obvious starting point for the investigation was to establish whether a birth certificate existed for Florence. Without a known name at the time of her birth, this would have proved well nigh impossible and so the assumption had to be made that Florence Brittain was her true name. A telephone call to the North Allerton registrar’s office brought immediate success. 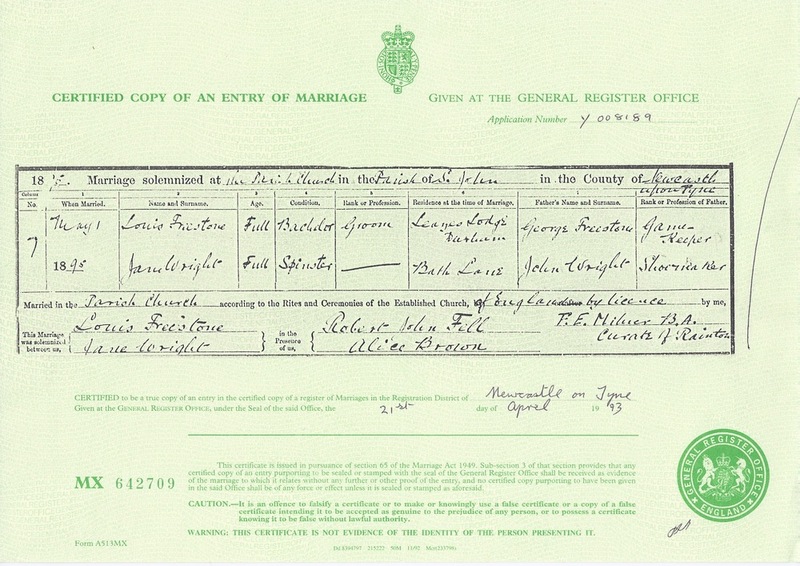 The birth of a Florence Britton (not Brittain) in Islebeck, Bagby on 29 November was indeed registered, but in 1880, a year earlier than the age on her marriage certificate had suggested. Florence was thus a year older than she knew or would admit to at the time of her marriage but her birthday was correct. When she eventually celebrated her “80th” birthday, a few months before she died, she was actually 82 years old, so a further year was “lost” during her lifetime. 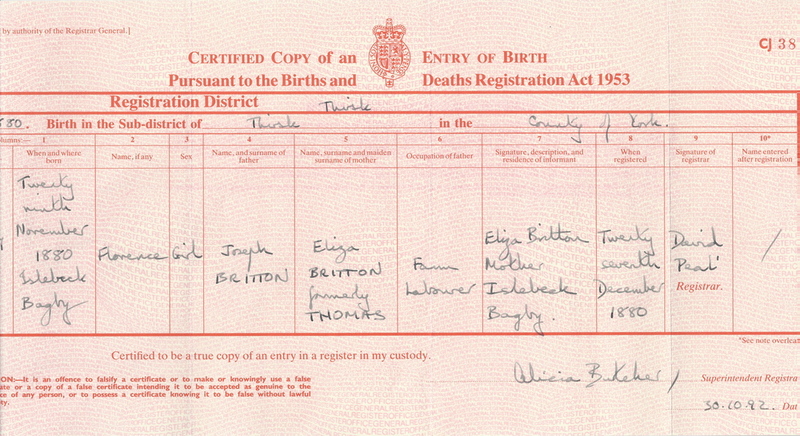 Florence’s parents were recorded on her birth certificate as Joseph Britton, a farm labourer, and Eliza Britton (nee Thomas). The myths of Florence being the illegitimate daughter of Jane and being given the surname Britton simply because she was British were therefore immediately dispelled. However, the mystery surrounding her abandonment remained to be resolved, prompting the research summarised in this document. 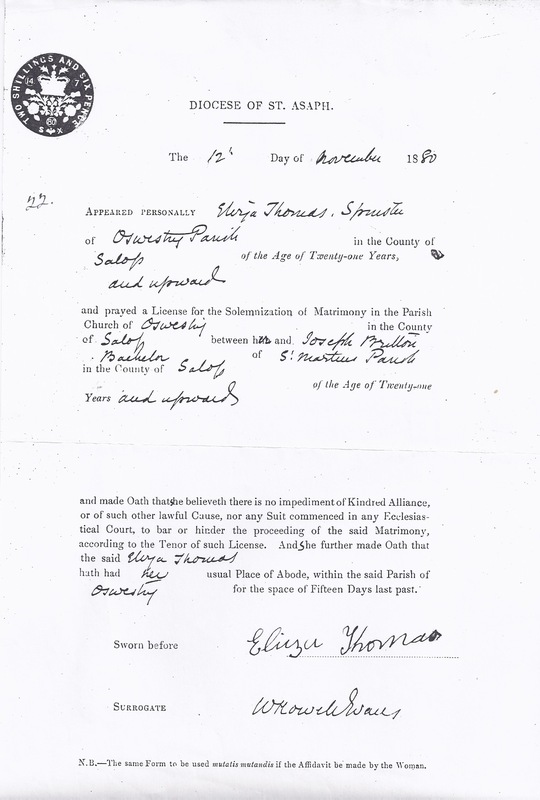 Details of the various families with whom Florence was associated during her early life are outlined in this document, including the Britton, Thomas and Freestone families. One exciting and poignant outcome was the discovery in 1998 of a living member of the Thomas family, Mary Pearson, a grand-daughter of John Alexander Thomas, a brother of Eliza Thomas. In more recent years, I have also been contacted by Theo Pardoen, a great-grandson of Catherine Thomas, another sibling of Eliza Thomas. From this research it is possible to trace Florence’s early life prior to her emigration to New Zealand and to speculate on the reasons for her abandonment. Florence was born on 29 November 1880 and her birth registered by her mother, Eliza, on 27 December 1880 at Thirsk, a town 3 ½ miles from Bagby. When she was baptised on 6 February 1881 at Bagby Parish Church, Florence was apparently still in the care of her parents. Coincidentally, 6 February is still celebrated in New Zealand as Waitangi Day. Furthermore, the child listed in the baptismal records immediately before Florence is one Thomas Barker Feather, the son of William Feather, a farmer living in Islebeck, who subsequently emigrated to farm in New Zealand and lived there to the ripe old age of 93, dying in 1945. Islebeck remains to this day a hamlet of isolated farmhouses and it is possible William Feather knew all about the birth of Florence and may even have employed her father, Joseph. If Florence had known the whereabouts of William in New Zealand, and been able to contact him, she may have been able to discover the secrets of her background. I did write to Mike Donnelly, William Feather’s great-grandson, in Tauranga, New Zealand but he was unable to provide any information about Florence. Between the time of her baptism in February and the end of March 1881, when the ten yearly census was conducted, Florence was abandoned by her parents. 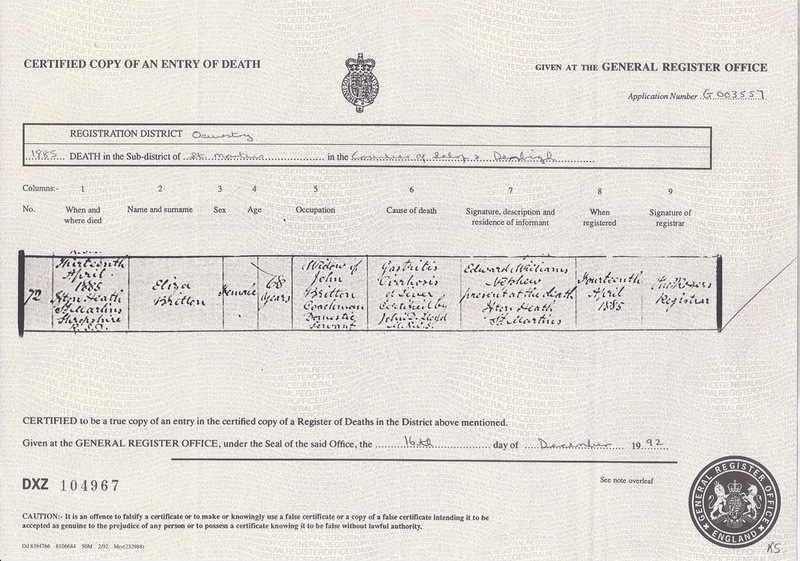 She is recorded in the census as a “nurse-child” living in the household of George and Ann Freestone, Jane’s parents. George Freestone was a gamekeeper, presumably working on the estate of the nearby Thirkleby Hall. In 1995, a so-called keeper’s cottage in Islebeck, with two bedrooms, was advertised for sale, along with gardens and land extending to 3.75 acres, at a price of £70,000. It is not certain that this is where the Freestones lived, and where Florence was abandoned, since another gamekeeper appears from the census to be more obviously living in Islebeck than George. George and his family are recorded as residing in Bagby Road, perhaps in the village of Bagby itself. It is uncertain how much George and Ann Freestone, or indeed Jane, knew about Florence’s background but they certainly knew her correct name and date of birth. Possibly some form of message or label was left with the baby, or perhaps the Freestones knew Joseph and Eliza Britton and were party to ensuring that proper arrangements were made for the child’s future well-being. Jane, aged 13 at the time, may well have known much about the situation but, as a typical Victorian, thereafter kept the details to herself. By March 1891, when the next census was conducted, Florence had moved with George and Ann Freestone to the Square, Wolviston, County Durham, close to another large country estate of Wynyard Hall. George had died on 18 February 1891, and Ann died soon afterwards, on 22 December 1892. Florence was therefore once again on her own at the age of 12 years. Exactly where she lived and earned a living during the next 15 years before emigrating is unclear. At the time of the 1901 census, she is recorded as being a visitor in the household of Luke Adams, a 59-year-old Poultry Manager, Domestic. Luke, his 53 year old wife Mary Ann, 26 year old son Charles (a gamekeeper) and 33 year old daughter (a dressmaker working from home) were living at Spring Bank, in the village of Wynyard and civil parish of Grindon, close to where Florence was living in 1891. Florence’s occupation in 1901 is not recorded and it is unknown whether she lived permanently with the Adams at that time or was a short-term visitor, possibly the girl friend of Charles. Perhaps she was taken in by this family following the death of Ann Freestone and was treated as a member of the family, rather than as a servant, helping with the cooking and other household chores. Certainly, Florence will always be remembered by her family for the excellence of her baking, particularly her sponge cakes, the like of which I have never tasted since her death. The only other clue to Florence’s permanent residence at that time is a photograph of her as a young woman taken by a photographer with studios in Stockton-on-Tees, Guisborough, Spennymoor and Darlington. The evidence thus suggests that she continued to reside in the same part of County Durham during this period of her life. Luke Adams, his wife and daughter were living in Wynyard Park at the time of the 1911 census and Luke died in 1913. Clearly, Florence must also have kept in touch with Jane Harding, deciding to leave England with her and Jane’s children, Minnie and James (Arthur? 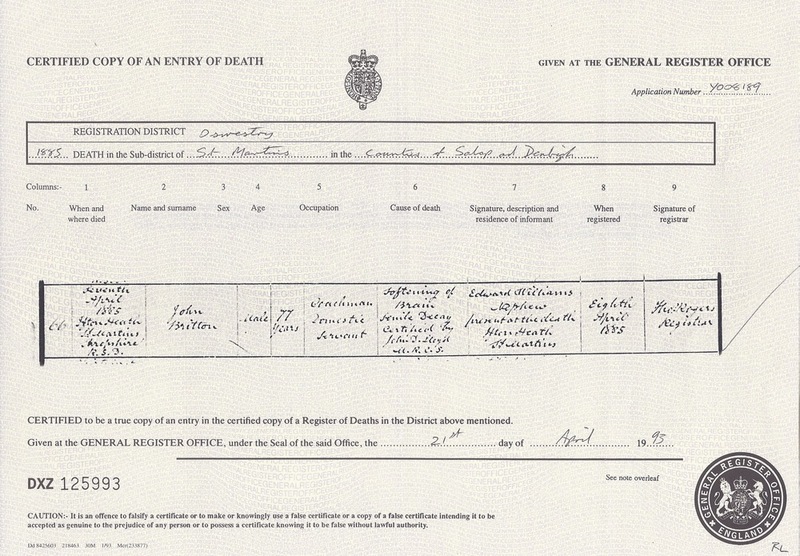 ), following the death of Jane’s husband, James, on 12 May 1907. They sailed in March 1908 from Tilbury, London, bound for Wellington, in the 7825 ton White Star Line steamer Ionic, with a carrying capacity of 754 passengers and enough food for 400 adults for 70 days. Florence’s occupation is defined on the passenger list as “domestic” and she shared a third class cabin with Minnie Harding. Jane Harding shared a separate third class cabin with her son James. Alfred Anderson, an upholsterer and future husband of Florence, was listed as another third class passenger. 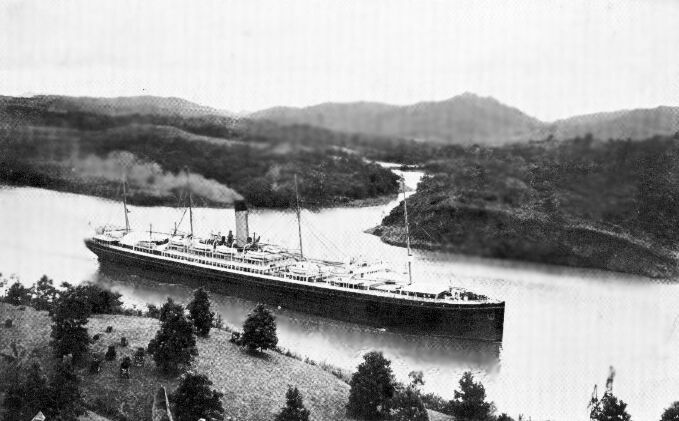 The Ionic arrived in Wellington on 21 April 1908 and Alfred and Florence were married in Wanganui on 1 August 1908. Florence’s parents, Joseph Britton and Eliza Thomas, both aged 23 years, were married at St. Oswald’s parish church in Oswestry, Shropshire, on 12 November 1880, only 17 days before Florence was born many miles away in Yorkshire. The marriage was by licence, not involving the usual process of banns reading, presumably because Eliza had been only temporarily resident in the parish. Eliza had applied and signed for the licence, indicating that she could at least write. Joseph, a domestic servant, was resident at the time in the parish of St. Martins, a small village some 5 miles from Oswestry. Joseph’s parents, John and Eliza Britton (snr. ), had lived in the St. Martins area for many years. 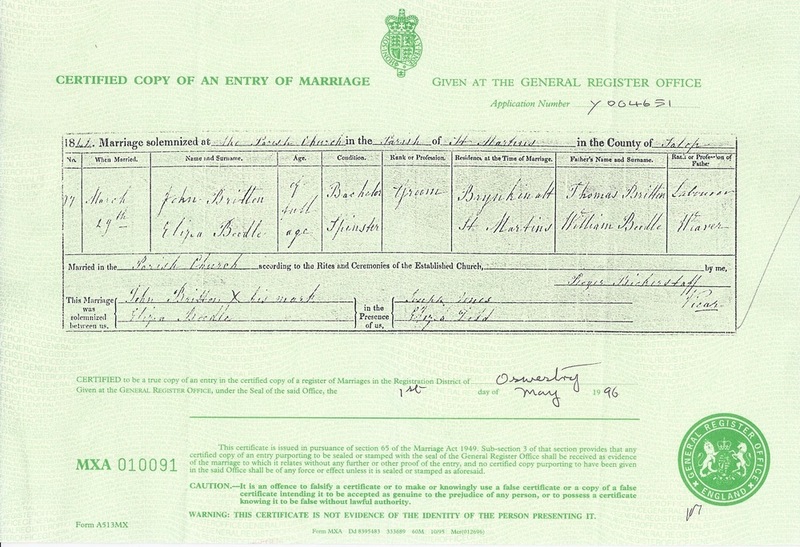 John Britton, originally from Leckhampstead, Berkshire, was employed as a groom at Brynkinalt Hall in Chirk, Denbighshire, when he married Eliza Boodle on 29 March 1841 in St. Martins parish church. At the time of the 1851 census, John and Eliza and their family of Sarah, John, William, Thomas Ridgway and Emma, were living at Brynkinalt. Joseph Ridgway, their youngest child, was born in Brynkinalt stables on 20 December 1857. 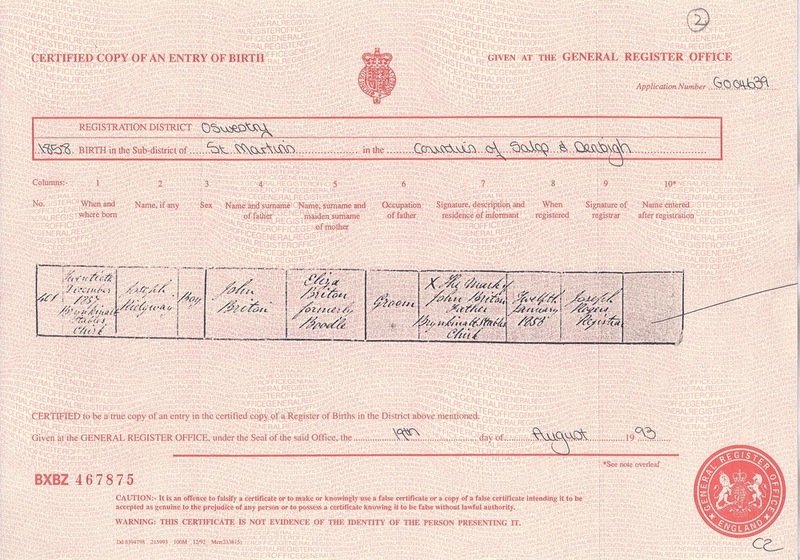 Joseph’s father, John, registered his son’s birth on 20 January 1858, marking but not signing the document, indicating he was unable to write. By 1861, John, now promoted to Coachman (domestic), and Eliza were still living in Brynkinalt stables with their children Thomas, Emma, Eliza and Joseph. Their son John was now employed as a page at Brynkinalt; he died in 1871 and his sister, Emma, died in 1872. Following the death in 1862 of his employer at Brynkinalt, the 3rd Viscount Dungannon, John retired as an annuitant with his family to live in rented accommodation in St.Martins, 2 or 3 miles from Chirk. The records indicate that their new home in Overton Road, Ifton Heath, was owned by Elizabeth Thomas and was part of the Brynkinalt estate. The annual rental for John’s home in the mid 1860’s was 2 shillings and 1 penny. At the time of the 1871 census, Joseph was the only child of John and Eliza still living with his parents. John and his wife Eliza were still alive at the time of Joseph’s marriage in 1880 and indeed Eliza was a witness at the wedding. Joseph himself, a domestic servant, could well have been employed at Brynkinalt Hall where Lord Arthur Edwin Hill, 1st Baron Trevor was now “lord of the manor”; he was a first cousin, once removed, of the famous Duke of Wellington who led the victory against Napoleon Bonaparte in the Battle of Waterloo in 1815. It seems that Joseph separated from his new wife Eliza and returned to live with his parents after the baptism of Florence in Bagby and her subsequent abandonment. Joseph is recorded as being part of John’s household in St. Martins in the March 1881 census, with his occupation given as “domestic servant out of employment”. His wife, Eliza, is not mentioned as being in residence, although his sister, Elizabeth, a 27-year-old dressmaker, is recorded. A few short years later, in April 1885, Joseph and both his parents each died in turn over a period of 10 days. Joseph was the first to succumb, of phthisis (or consumption), on 3 April, aged 27 years, followed by his father John, of “softening of the brain” on 7 April, aged 77 years and finally his mother, Eliza (Snr. ), of gastritis, on 13 April, aged 68 years. Joseph’s cousin, Edward Williams, is recorded as being present at the deaths of his cousin, uncle and aunt. The circumstances of the last days of the Britton family can only be imagined, with Joseph’s early death from consumption perhaps providing a clue as to why he had abandoned his daughter, Florence, 4 years earlier. An intriguing sideline to the investigation is worth mentioning at this stage. The discovery that Joseph Britton and Eliza Thomas were married in Oswestry initially came as quite a shock. By an amazing coincidence, my wife Liz was born in Oswestry and had been a bridesmaid at St. Oswald’s parish church and, furthermore, her mother was one of a Thomas family from Oswestry. In fact, Liz’s great grandfather, James E. Thomas, who ran the family furniture removal business, was mayor of Oswestry in 1921-2. At one stage, Liz and I thought we might be distantly related and were subsequently relieved to find no evidence of such a relationship! Documentary evidence about the background and fate of Eliza Thomas, Florence Britton’s mother, has proved elusive. The only information on her is provided by her marriage certificate that indicates her age (23 years) and the name and occupation of her father, Charles Thomas, a coastguard. Initially, the marriage certificate appeared to indicate that Charles’ occupation was a coachguard and much time was spent in a fruitless search for him and his daughter in the various records. When a copy of the original parish record of the marriage of Joseph and Eliza was eventually obtained, it was apparent that Charles’ occupation was in fact a coastguard rather than a coachguard. This finding led immediately to the records known to exist about the coastguard service and those who served in it. It was discovered that Charles Thomas was born in Kingston, Portsmouth, Hampshire on 28 August 1822. His parents were Ann (nee Mansbridge) and Josiah Thomas, a householder and labourer, and he was baptised in St. Mary’s parish church, Portsea, on 8 February 1823. Charles was the eighth of the ten children of Ann and Josiah. Following Josiah's death some time before 1841, Ann lived with her youngest daughter, Lucy, until 1855 when she moved to the workhouse in Portsea where she lived until her death in 1864. In 1844, Lucy had married William Tyhurst who, prior to his marriage, had served with Charles on HMS Crocodile and HMS Vindictive. Following William's death in 1873, Lucy herself lived in a workhouse for over 20 years until her own death in 1897. 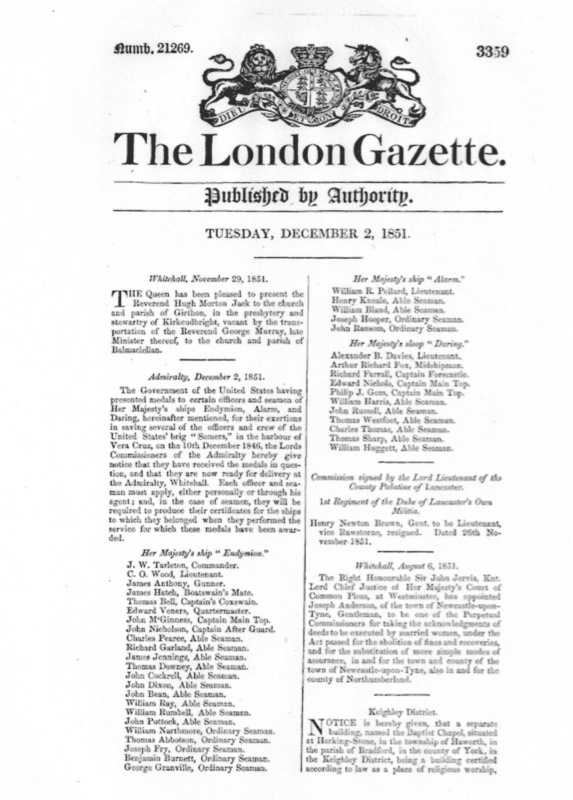 The London Gazette, December 2, 1851. Charles Thomas listed as one of sailors entitled to receive medal. Charles Thomas joined the Royal Navy in 1839 as a teenager, serving on a number of different ships. In the London Gazette of Tuesday, 2 December 1851, he is listed as one of the seamen on the Daring awarded The US Congressional Medal by the USA Government for "their exertions in saving several of the officers and crew of the United States brig "Somers" in the harbour of Vera Cruz, on the 10th December 1846". This rescue actually occurred on 8th December 1846 and the error on the medal inscription obviously went un-noticed. The US Congressional Medal is often considered the most prestigious decoration that Congress can bestow and over the years has been awarded, not just to military personnel, but to a diverse range of individuals including Sir Winston Churchill and Mother Teresa of Calcutta. It seems the medal awarded to Charles was passed on to his son, Andrew, then to his son Charles G. A. and finally to his son Michael Thomas (born 1933). After Michael's death, his widow, Patricia Thomas, sold the medal by auction for £560 through Nesbits Auctions in Portsmouth on 20 May 2015. Its current whereabouts are unknown. In 1848, Charles Thomas enlisted as a coastguard in Ireland and moved between stations in Ireland, finally attaining the rank of Chief Boatman in Charge. He was discharged in 1869, for some unknown reason being unfit for service. During his time in the coastguard service, Charles was also called up by the Navy during the Crimean War of 1854-6, serving on three ships, including HMS Royal Albert and HMS Agamemnon, the first screw-driven warship. The records make various mentions of good character and the award of three Good Conduct Badges while a coastguard. The records variously quote the height of Charles as 5ft. 4in., 5ft. 5in. and 5ft. 8in. He had a dark complexion, brown hair and grey eyes and had a crucifix tattooed on his right arm. Charles was married twice. His first wife was Mary Jane Fair, a 22-year-old illegitimate servant at BallyConnell House, near Falcarragh, whom he married on 22 January 1849 at Myragh church in the Parish of Raymunterdoney, County Donegal, Ireland. The bride’s father is recorded as a “gent”. It was thought that there were no children of this marriage until Carolyn Saw in Australia contacted me in 2012 to tell me that her great grandmother, Sarah, was the daughter of Charles and Mary Jane. Sarah was apparently born in Belfast in 1851 and emigrated to Australia in about 1880 where she married George Smith, from the Shetland Islands, and lived to the age of 82. More recently, I was contacted by Fiona May Rogers of Devon who informed me that her great grandfather, Samuel William Thomas, born in about 1855, was also a child of Charles and Mary Jane. She said that her family believed that they had three daughters in total, as well as the one son. It is not known when Mary Jane died but it was obviously before Charles remarried on 17 October 1857 at the parish church of Cappagh, near Omagh, in County Tyrone, Ireland. His second wife was Eliza Ann McCausland, the daughter of Andrew and Ann(e) McCausland, who was approximately ten years younger than Charles. 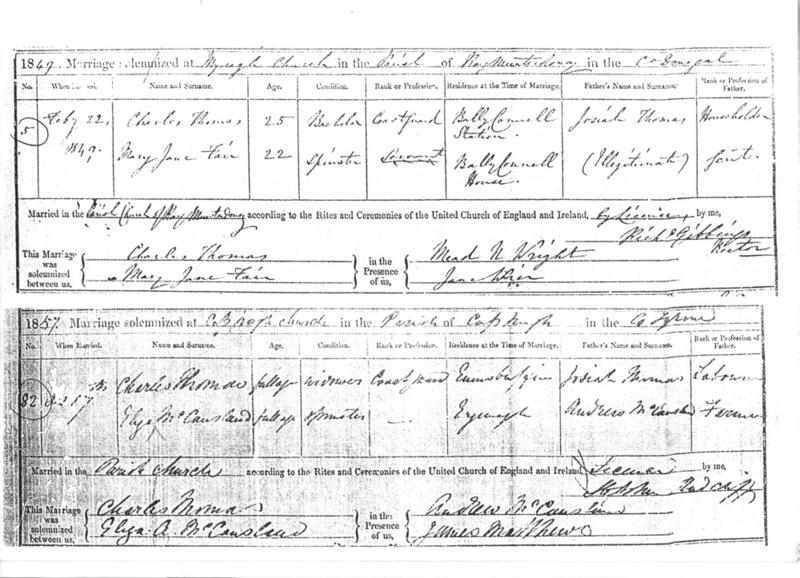 No birth or baptismal record has been found for my great grandmother, Eliza Thomas, Florence Britton's mother, but it is known from her marriage certificate that she was born in about 1857 and it now seems likely that she was one of the daughters of Charles and Mary Jane, born just before Mary Jane died and Charles remarried. The Dublin Evening Mail of 30 August 1861 reported that Charles Thomas had seized a shipment of contraband tobacco whist stationed as a commissioned boatman at Inishbofin from 1853 to 1964. After his discharge from the coastguard service in 1869, it seems he continued to live near his last station in the Westport division of Ireland, his three youngest children being born there in the 1870’s, the last in 1876/7. By the time of the March 1881 census, Charles had returned to England and was living on the south coast at 22/23 Caves Road, St. Leonards, Hastings in the county of Sussex. He and his wife had seven of their children living with them but there is no record of Eliza, now Eliza Britton, being in residence following Florence’s abandonment. Charles’ eldest son, Andrew, was serving in the Royal Navy on HMS Alexandra in 1881. On the same ship was William Henry West, Andrew's future brother-in-law (see below), and a John Mansbridge who, it can be speculated, may have been descended from Andrew's grandmother, Ann Thomas (nee Mansbridge). 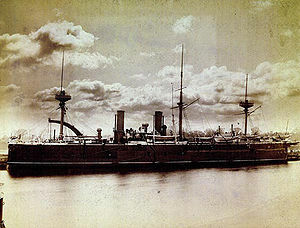 In 1882, HMS Alexandra was involved in the bombardment of Alexandria during the Anglo-Egyptian war and, in 1886, the future King George V joined the ship as a lieutenant. Also living together in Caves Road in 1881 were Charles' sister Sarah Corp, now widowed, and Sarah's daughter, Eliza. Sarah Corp's husband, William, had also been a coastguard in 1851 and was a "Proprietor of Bathing Machines" at the time of the 1871 census. It could be that Charles and his wife moved to St. Leonards after their return from Ireland in order to be close to Sarah. From local Hastings records, it appears that Charles was responsible for running the St. Leonards Parochial Temperance Club at 22/23 Caves Road. In the Hastings and St. Leonards Observer of 31 December 1881 there is a report on the "fourth annual gathering at the Club Rooms, Caves Road, when a substantial supper was excellently served by Mr. Thomas, the Manager". By 1891, Charles had moved down the road to 15 Caves Road, living with his wife and four of his children. In 1901, Charles and Eliza Ann were still living at 15 Caves Road, by now alone. 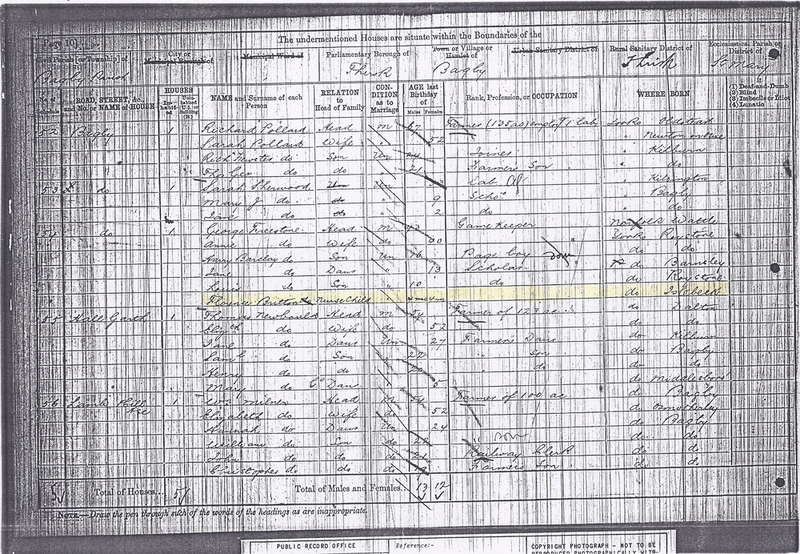 Three of their children have been located in the 1901 census. Andrew Thomas, by now a naval pensioner himself, was employed in Emsworth, near Portsmouth, as a caretaker in a school, living with his wife Edith and their son and daughter. James Thomas, a plumber, was living in St. Mary Magdalen, Hastings with his wife, Jane, and their son. John Thomas, a bricklayer/labourer, was living next door to his father at 16 Caves Road, St. Leonards, together with his wife, Jessica, their daughter Ivy and a 22-year-old boarder, Alfred Leadbetter, a laundryman. More recently, it has emerged that Charles and Eliza Ann had another child, Catherine (Kate) Thomas, born in about 1859. This was discovered when I was contacted by a great-grandson of Catherine, Theo Pardoen. In 1884, Catherine married William Henry West, with her niece, Eliza Corp, as a witness to the ceremony. It is interesting that, in a newspaper report of this wedding, Catherine is described as the eldest daughter of Charles and Eliza Thomas and this seems to confirm that my great grandmother, Eliza, born before Catherine, could not have been their daughter. William Henry died in 1894 in Bombay where he and his wife were stationed. Catherine then returned to England where she married her second husband, Thomas Godden. I understand it has long been rumoured within the family of Catherine Thomas that her mother, Eliza Ann, was born in Newfoundland where Eliza's father, Andrew McCausland, an army officer, was believed to have been stationed prior to returning to Ireland on his retirement to take up farming. 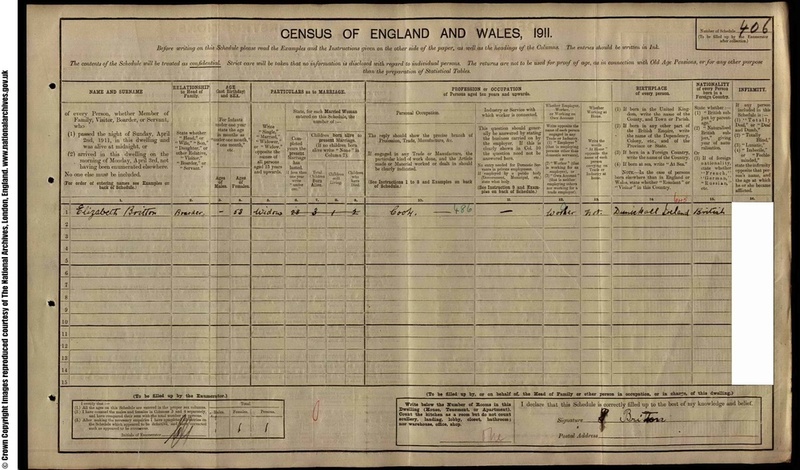 This is contrary to the evidence in the UK census returns of 1881, 1891 and 1901, in all of which Eliza Ann is recorded as having been born in Ireland. However, in the 1911 UK census, Eliza Ann, now a widow living in Portsmouth in the household of her daughter Jane Elizabeth and son-in-law William Thomas Turner, is recorded as having been born in St. Johns, Newfoundland. A search by Theo Pardoen of Andrew McCausland's military records has shed some light on the reason for this discrepancy. Andrew, at the age of 18, joined the 50th Regiment of Foot in Glasgow in 1826 and this regiment was in England from 1826 to 1830 and in Ireland from 1830 to 1834. These latter dates correspond with the known birth date of Eliza Ann in Ireland and it therefore seems likely that Andrew was married to Ann and then fathered Eliza Ann during his period in Ireland. In 1834, Andrew was transferred at his own request to the Royal Veteran Companies in Newfoundland where he remained until 1840 when he retired to Ireland because of complaints of chronic rheumatism. Whilst in Newfoundland, Margaret and Alexander, two other children of Andrew and Ann, died on 7 October 1834 and between 19 and 21 September 1835, respectively ; it is not known whether they were born in Ireland or Newfoundland. The records for Andrew McCausland note that the "Regimental Board is of the opinion that his character is very good and (he) now wears two distinguished badges". Back in Ireland, Andrew became a tenant farmer, farming about 13 acres of land owned by the Reverend James Bryne in Erganagh Glebe townland, Tyrone, close to Cappagh church, and he died there on 19 July 1868. His widow, Ann(e) McCausland, died in Erganagh on 12 December 1877 of debility and old age senility. Charles Thomas died of a pyloric obstruction and other ailments at the ripe old age of 82 (not 83 as on death certificate) on 6 June 1905. His son, John Thomas, was present at his death. His wife, Eliza Ann Thomas, lived in the last years of her life with the family of her daughter Annie Rhoda Johnston (formerly Thomas) in Portsmouth. Eliza Ann died in Portsmouth at the age of 80 on 18 April 1913. This then is an outline of the life and career of Charles Thomas, as summarised in the Appendix below. How then did his daughter, Eliza, come to meet and marry Joseph Britton in the far away town of Oswestry in the county of Shropshire? The census record of 1871 may provide the clue. The Trevor family and their servants were recorded at that time as living on the waterfront at 107 Marina, St. Leonards, no more than a quarter of a mile from 22/23 Caves Road where Charles Thomas and his family subsequently lived. The Trevors did not own 107 Marina, one of a row of elegant Georgian town houses, but appear to have rented it from the Reverend John Alton Hatchard, a former naval chaplain and vicar of St. Leonards. Stables owned by the Reverend Alton Hatchard were virtually next door to 22/23 Caves Road. This is the first and only positive link found between Eliza Thomas, the Trevor family and Joseph Britton who, it is reasonable to assume, was a servant at Brynkinalt. Eliza was possibly either employed by the Trevors during one of their stays at St. Leonards or at least met up with Joseph Britton or the Trevor family during their time there. Perhaps she then returned with them to Brynkinalt as a servant. In any event, an obvious opportunity has been established for Florence Britton to be conceived from a liaison between Eliza and Joseph or possibly with another member of the household. Attempts have been made to establish with certainty that Joseph and Eliza were employed at Brynkinalt. Written and personal approaches were made to the late 4th Baron Trevor, who died on January 1 1997, but these failed to elicit any information on servants employed at Brynkinalt House. A further visit was made to Brynkinalt in April 2002, when one of the previous Lord Trevor’s sons confirmed that, to his knowledge, no records of servants existed. Another question to be answered was where in Oswestry was Eliza Thomas residing at the time of her marriage? It is possible she was living with another family of Brittons identified as living there in 1881, in Beatrice Street, made up of Sarah, the wife of a shoemaker, William Britton, who was not in residence, and their family of 6 daughters and a son. Perhaps coincidentally, their youngest daughter was also named Florence. This family originated in the Darlington area of County Durham and it seemed possible that therein lay the clue to why Joseph and Eliza journeyed north for the birth of their baby. However, no evidence has been found of a link between William and Joseph Britton or any connection with Eliza. The fate of Eliza Britton after she and Joseph had abandoned Florence and separated in 1881 remained unknown for a number of years. There was no clear evidence from the 1881 census of her residing in England or Wales and endless searching of the records failed to unearth a death or remarriage certificate. However, internet access to the 1891 and 1901 censuses recently provided compelling evidence that she moved to the London area. In the 1891 census, an Elizabeth Thomas, a single person, aged 30 and born in Hastings, Sussex, is recorded as a servant in the household of Charles Davis, a silk merchant, at 22 Priory Road, Hampstead. In the 1901 census, an Elizabeth Britton, a widow, aged 39 and born in St. Leonards, Sussex, is recorded as a servant, domestic cook, in the household of the very same Charles Davis, now at 87 Priory Road, Hampstead. Even allowing for the age discrepancy, the Thomas/Britton/ St Leonards link in these records seems most unlikely to be coincidental. It is therefore reasonable to deduce that the Eliza(beth) Thomas and Eliza(beth) Britton in Charles Davis’ household were one and the same person, with Eliza, for reasons that are not entirely clear, using her maiden name in 1891 following her separation from Joseph and then reverting to her married name and true status as a widow in 1901. It still remains to explain the recorded birthplace of Eliza. 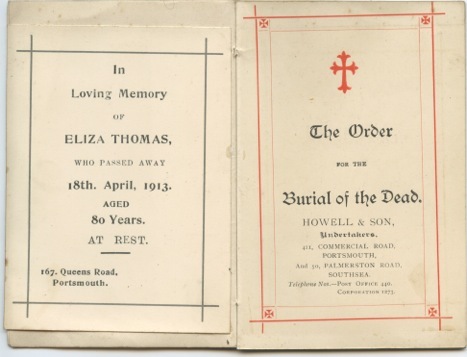 Although it has always seemed reasonable to assume that Eliza Thomas was born in Ireland, no evidence of this has been found, and even if Ireland rather than St Leonards was her true birthplace, it is possible that St Leonards/Sussex was given as her place of birth in the 1891 and 1901 censuses because this was the long-time place of residence of her father and step-mother. 1911 Census-- is this my great grandmother Eliza(beth) Thomas/ Britton? The entry in the 1911 census appears more accurate. 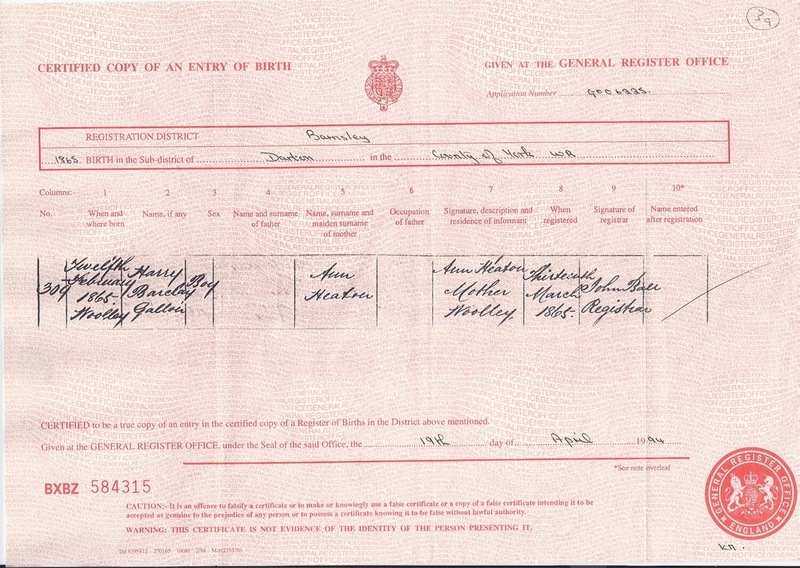 An Elizabeth Britton, a widow, aged 53, born in Dunickall (Donegal?) Ireland, occupation cook, is recorded as living alone as a boarder at 8 The Terrace, High Road Kilburn. This residence is less than a mile from Priory Road, Hampstead, where Elizabeth Thomas/Britton was living in 1891 /1901 and, interestingly, is also about a mile away from where Robert Jnr. Anderson and his family were living. Therefore, coincidentally, Florence Britton's mother and Florence's future husband, Alfred Anderson, were living in close proximity to each other before Alfred emigrated to New Zealand, meeting Florence on the voyage. Having obtained this recent information from the 1891, 1901 and 1911 censuses about Eliza(beth) Thomas, the 1881 census was again searched and an Elizabeth Thomas, aged 23, birthplace Sussex, was found working as a servant (cook) at the home of a German Professor of Music, Constantine Quenther, and his English wife Clara at 61 Glo(uce)ster St, London. Was this the same Eliza(beth) Thomas/Britton as the one found in London in 1891, 1901 and 1911? We will never know for sure but it certainly seems possible. Theo Pardoen has recently provided a newspaper cutting reporting on the wedding of Kathleen Gertrude West and George Henry Dearnley at Portsmouth in 1909 (see photograph in Gallery). Included in the list of guests is a “Miss E. Thomas” who gave a present of “silver-mtd. vases”. Could this possibly have been Eliza(beth) Thomas/ Britton, again using her maiden name? 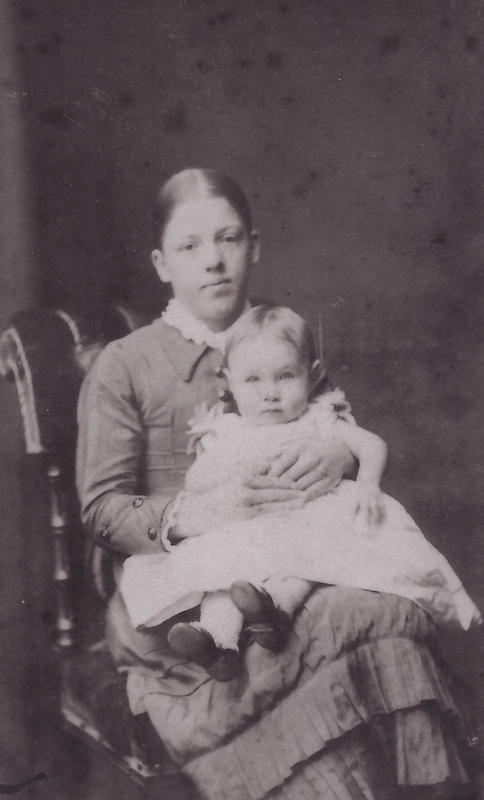 There are no other known members of the Thomas family whom this could be but Theo has found a non-family person named Ethel Caroline Thomas mentioned in a birthday book. There was an interesting footnote to this investigation into the Thomas family. Contact had been made with a lady called Eileen Sage, who was involved in research into the coastguard service, to check what information she had on Charles Thomas. Coincidentally, a lady called Mrs. Mary Pearson soon afterwards also contacted Eileen Sage about the very same Charles Thomas and was put in touch with us. It emerged that Charles was Mary’s great grandfather, her grandfather being John Alexander Thomas, a brother of Eliza Thomas. John apparently left his wife, Jessica, and family when his children were young and was rarely spoken of afterwards. It seems he then lived with Jessica’s sister, possibly in a bigamous relationship! My wife and I first visited Mary Pearson in Felpham, Bognor Regis in July 1999 and she subsequently met two of Florence’s daughters, my aunts Mary and Jean, during a visit in 2000 to New Zealand. Mary had little new information about the Thomas family background but was able to provide various photographs, including one of her grandfather, John Alexander Thomas. She apparently met John only once, by chance when her parents passed his house, and describes him as a small, rather hunched character with hair rather like my own. George Freestone, a gamekeeper, and his wife Ann (nee Heaton), the couple who took in and brought up Florence Britton, were married at Woolley, Yorkshire, on 31 January 1870. 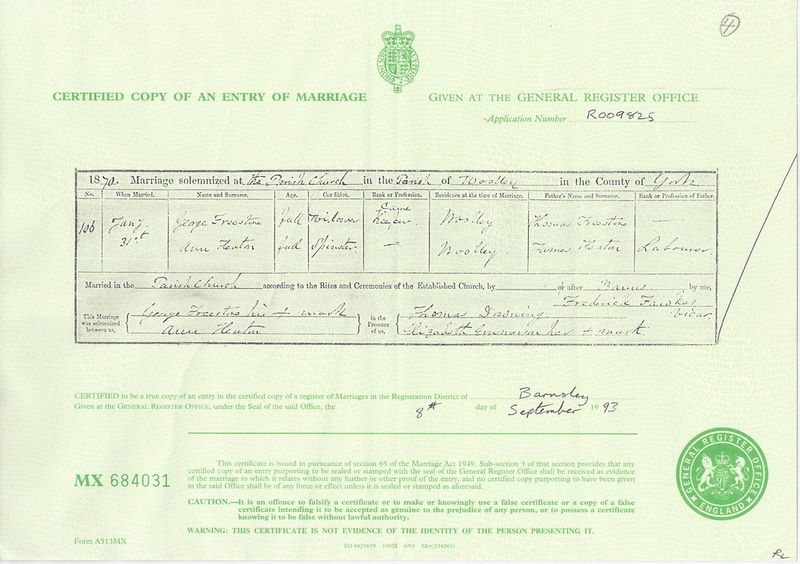 George is recorded as a widower and Ann as a spinster on their marriage certificate. Ann had already borne two children, Harry Barclay Gallon Heaton and Jane Heaton (Aunty Ginny) and was pregnant with her third child, Louis, at the time of her marriage. No birth certificate for Jane has been located but her baptism on 2 February 1868, is on record, leaving her father un-named. 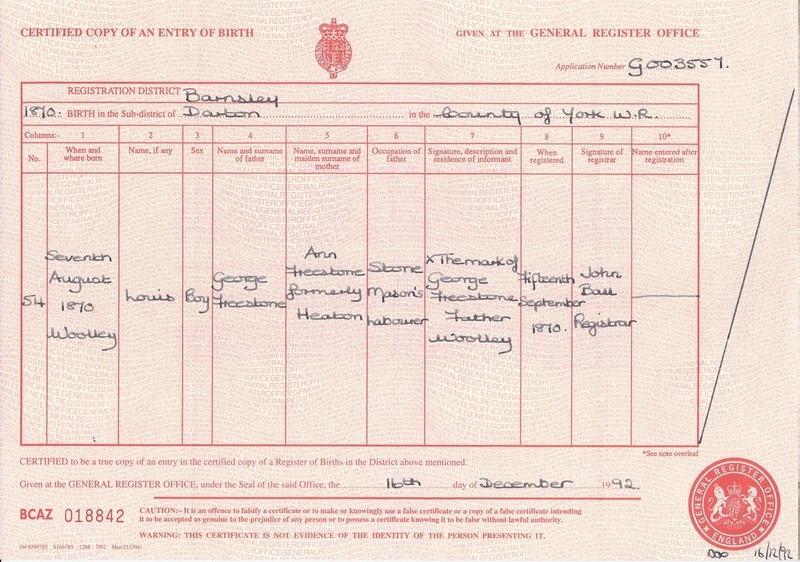 Harry does have a birth certificate that gives the date of his birth at Woolley as 12 February 1865, again leaving his father un-named. Both Harry and Jane continued to use their mother’s surname of Heaton into their adult life, suggesting that George Freestone may not have been their father. 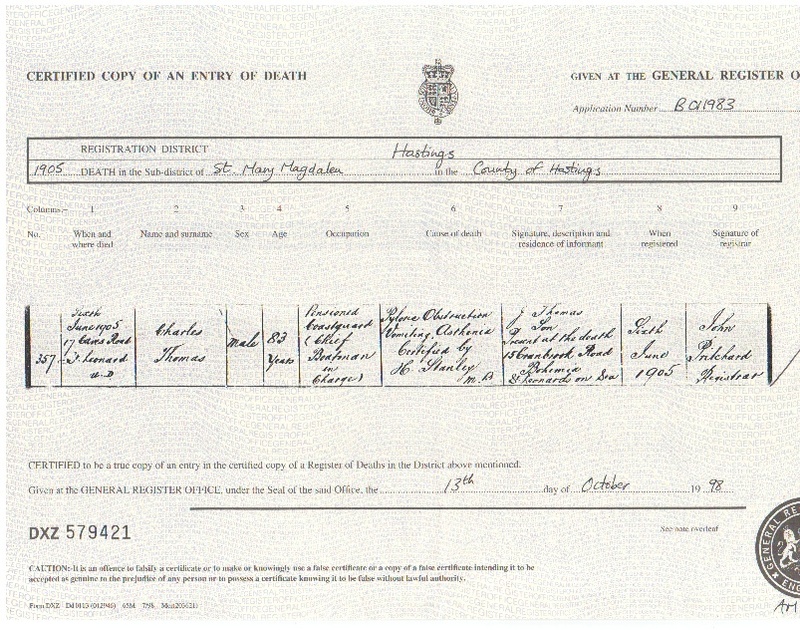 On Louis’s birth, however, at Woolley on 7 August 1870, George Freestone, at that time working as a stone-mason’s labourer, is entered as the father on the birth certificate. George obviously could not write as his mark rather than his signature appears on the certificate. Louis was baptised on 25 December 1870, with George again recorded as his father. It is one of the ironies of this investigation that, at the outset, it was understood that Florence was illegitimate whereas, in the event, it proved to be Jane and not Florence who was borne out of wedlock. All that is known about the early life of George and Ann Freestone is that George was born between 1837 and 1840 at Wattle, Norfolk, and Ann in 1840 or 1841 at Woolley. Yorkshire. Their fathers’ Christian names were Thomas and James respectively, with Ann’s father being a labourer, born in Woolley. At the time of the 1871 census, Ann Freestone and her children were living with James, a widower, in Woolley. Ann’s husband, George, was recorded as being “temporarily absent”. By 1881, when Florence Britton joined them, the Freestone family had moved from Woolley to Bagby in Yorkshire, where, as already mentioned, George was a gamekeeper, presumably on the estate of Thirkleby Hall. This hall itself, owned at that time by the Payne-Frankland family, was vacated permanently after the first world war and only the facade now remains as the frontage to a holiday complex. An interesting if rather tenuous link between the Trevor and Payne-Frankland-Gallwey families has been found. In the 18th century, a John Trevor of Trevallyn and Plasteg, Denbighshire, married Elizabeth Frankland, daughter of Sir Thomas Frankland of Thirkleby. Could this family link explain Joseph and Eliza Britton’s long journey to Thirkleby for the birth of their daughter, Florence? It is interesting also that the 1914-1918 war memorial in Chirk includes the name of a Lieutenant Philip Francis Payne-Gallwey of Thirsk, which again supports an association between his family and the Trevors of Brynkinalt, Chirk. At some time during the next decade, George and Ann Freestone together with Florence Britton, moved to a house in the Square, Wolviston, County Durham, again near a large country estate of Wynyard Hall on which modern luxury houses (where a number of well-known footballers have resided) and a golf-course are now situated. It was mentioned during recent TV coverage of a minor golf tournament on this course that the Duke of Wellington was a regular visitor to Wynyard! 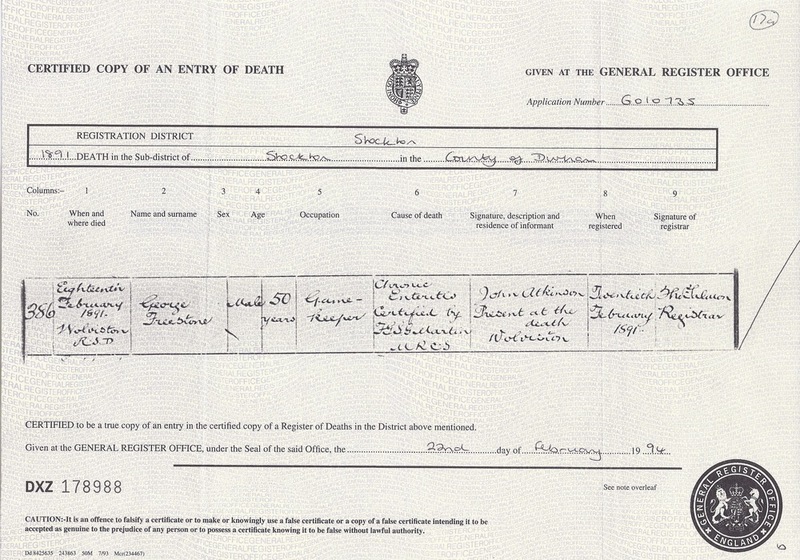 As already noted, George Freestone died in Wolviston at an age recorded as being 50(?) on 18 February 1891, of chronic enteritis and Ann Freestone died at the age of 52 on 22 December 1892, of chronic heart disease. Ann’s son, Harry Heaton, then living at Low Grantley, near Ripon, Yorkshire, was present at the death of his mother. In 1891, Louis Freestone was living in Leazes Lodge, City of Durham, near Clayworth. He was employed as a groom while his future wife, Jane Wright, was employed as a general domestic servant in nearby Leazes House. Leazes Lodge and Leazes House, both imposing and attractive stone buildings, are still to be seen. On 12 May 1895, Louis, aged 24, married Jane, a spinster from Northumberland, who was some 13 years his senior. Louis was still living at Leazes Lodge at the time, although his marriage was solemnized at St. Johns Parish Church, Newcastle upon Tyne. Louis and Jane later sailed to New Zealand in 1925 on the ship Corinthic. Louis worked as a farmer in Lepperton and died in 1935. He is remembered as a tall, imposing figure by his grand-nephew, Bob Buchanan, the former Minnie Harding’s son, who lived in Christchurch, New Zealand. Jane, the widow of Louis, died in New Zealand in her late 90s in 1954. Louis’s half or perhaps full sister, Jane Heaton (Aunty Ginny) was married at the age of 18 on 11 December 1886, at the Register Office in the district of Auckland, County Durham. At the time of her marriage, Jane was living in Wheldrake, York, but her occupation is not recorded. Jane’s bridegroom, James Harding, aged 27, was employed as a groom at Windlestone Hall, having been born in Moresham, Yorkshire. 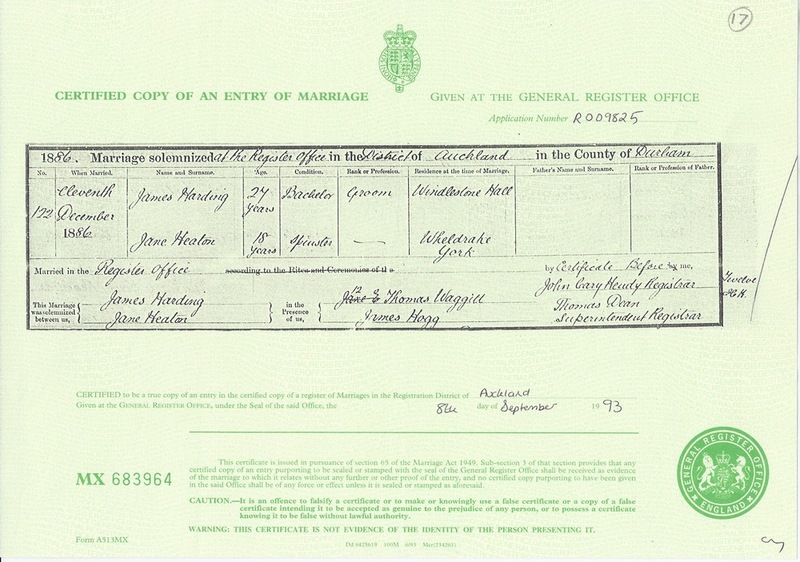 Neither Jane Heaton’s father nor James Harding’s father are named on the marriage certificate. Whether George or Ann Freestone attended the wedding is unknown but neither is listed as a witness at the ceremony. At the time of the 1891 census, Jane and James Harding had taken up residence with their two-year-old daughter, Minnie, in Clayworth, near where Louis Freestone was living. James was still employed as a groom, possibly working with Louis at Leazes House. No record has been found of the whereabouts of the Harding family or of Louis Freestone and his family at the time of the 1901 census. Harry Barclay Gallon Heaton, Jane’s brother, was found to be working as a gamekeeper in 1901 at Butterton, near Leek, in the county of Staffordshire, living in Swainsley Cottage with his wife, Caroline, and their three sons and two daughters. Harry and his family were still living in Swainsley Cottage in 1911, by which time another daughter, Rhoda, had been born. Harry's eldest daughter, Jane Heaton, emigrated to New Zealand or Australia at some time after 1901 and subsequently married. Her son, Walter Ratcliffe, lives in Brisbane, Australia. James Harding died at the age of 47 on 12 May 1907, at the Royal Victoria Infirmary in Newcastle upon Tyne. The cause of his death was acute spreading gangrene and operation shock. His wife, Jane, was present at his death. The Harding family lived at The Lodge, Burnopfield at the time of James’ death with James still being employed as a groom (domestic). In July 1995, we visited Burnopfield and located the Lodge, an attractive stone building on the main street. I knocked on the door of the Lodge, and was shown inside when I explained the reason for my interest to the present occupants. Interestingly, Bob Buchanan, the grandson of James and Jane Harding, believed that James was employed as a jeweller, but we can find no evidence of this. 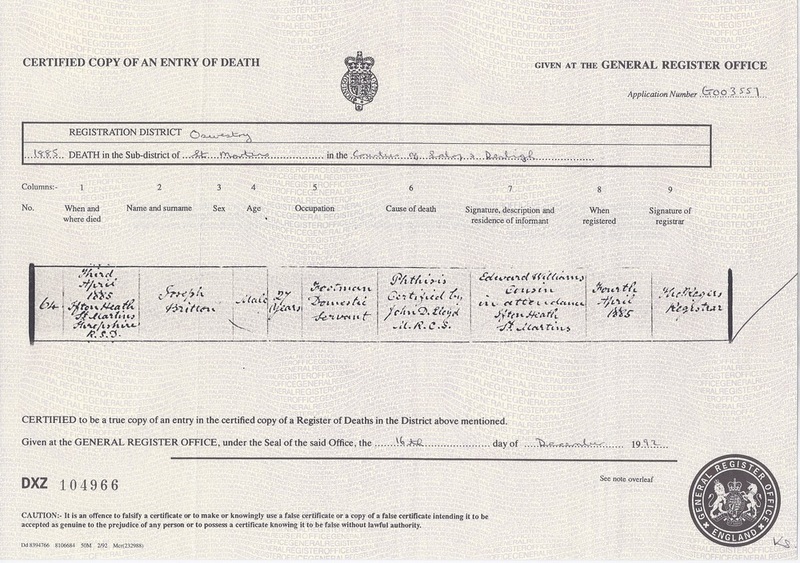 His occupation is consistently recorded as “groom” on his marriage and death certificates and on the 1891 census return. The year after James’ death, Jane Harding left for New Zealand, accompanied by her two children, Minnie and James (Arthur), and Florence Britton. None of them was to return to England. Jane and her children took up residence in New Plymouth on arrival in New Zealand. Minnie, a teacher, married Cameron James Buchanan in 1914 and died at the relatively young age of 52 in 1940. Jane, remembered as a devout Christian, died in 1948, having been chair-bound for many years with arthritis. It is understood that my grandfather, Alfred Anderson, Florence’s husband, covered her funeral expenses. This could be regarded as a small price to pay for the huge personal debt owed by Florence to Jane and her parents. Were Joseph and Eliza servants at Brynkinalt? Why did Joseph and Eliza delay their marriage until so late in Eliza’s pregnancy? Was it simply because Eliza arrived late from St Leonards to confront Joseph about her pregnancy? Was Joseph the true father of Florence? Perhaps, as a lowly, sick and rather pathetic servant, he was paid off to marry Eliza and thereby save embarrassment for the true father? Why did Joseph and Eliza travel so far from Shropshire to Bagby to have their baby? Were they actually on their way further north of Bagby, perhaps Darlington, and had to cut short their journey at Bagby because of the imminent birth of Florence? Was George or Ann Freestone or some other resident of Bagby related to Joseph or Eliza Britton? Was the connection between the Trevor family of Brynkinalt and the Payne-Frankland-Gallweys of Thirkleby the explanation for the journey to Bagby for the birth of Florence? Was this journey arranged by the Trevors? Was there any connection with William Britton, shoemaker, and his family living in Oswestry at the time of the marriage of Joseph and Eliza? Did Eliza reside with them before her marriage? Why did Florence’s parents abandon her 2-4 months after birth? Was it because Joseph, weakened by consumption, proved incapable of working as a farm labourer to support his wife and child? Was it because of their concern that Florence might contract the disease? Was it because poor Joseph had out-served his purpose as a cover for the true father of Florence? Did Joseph and Eliza separate simply because they quickly fell out for some unknown but relatively mundane reason? How much did Charles and Eliza A. Thomas know about the pregnancy of Eliza and what if any support did they provide before and after the birth? How much did George and Ann Freestone and their family, including Jane, know about Florence’s origins and the circumstances of her birth? How much did Florence herself know? Was money actually left with Florence for her support and upkeep? If it was, who provided it? It is possible to speculate endlessly about the various scenarios, including the possibility that Florence’s true father was not Joseph but some other man, perhaps from the Trevor household, who persuaded and possibly paid Joseph at the last minute to marry Eliza so as to avoid further embarrassment. Once this objective had been achieved, with Florence properly baptised and arrangements made for her future well-being, there was no longer any reason for Eliza and Joseph to stay together. The reality is probably much more mundane, namely a forced marriage following an unwanted pregnancy, a sick and weakly father and a rather fed-up and perhaps ill mother, at the end of her tether, who was unable to find employment because of the tie of a young baby and who no longer felt able to cope with her child while enduring a bleak, North Yorkshire winter. Unfortunately, all those involved have long departed this life and we must reconcile ourselves to the reality that the whole truth will never be known. Perhaps Florence is now reunited with her mother, Eliza, and her father, whoever he might be. 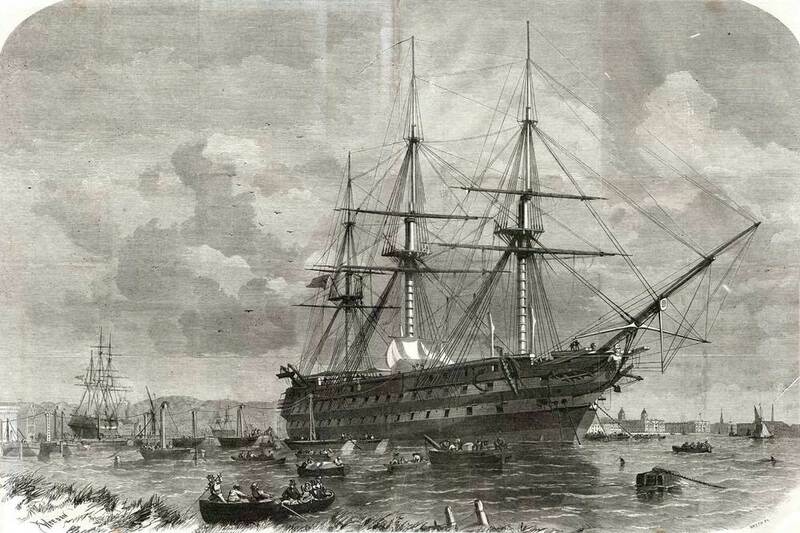 1.7.1845-2.10.1848: Further service as Able Seaman on HMS Daring. Recorded as “Captain Miztop” on 18.5.1847. Paid off with “very good character” report. 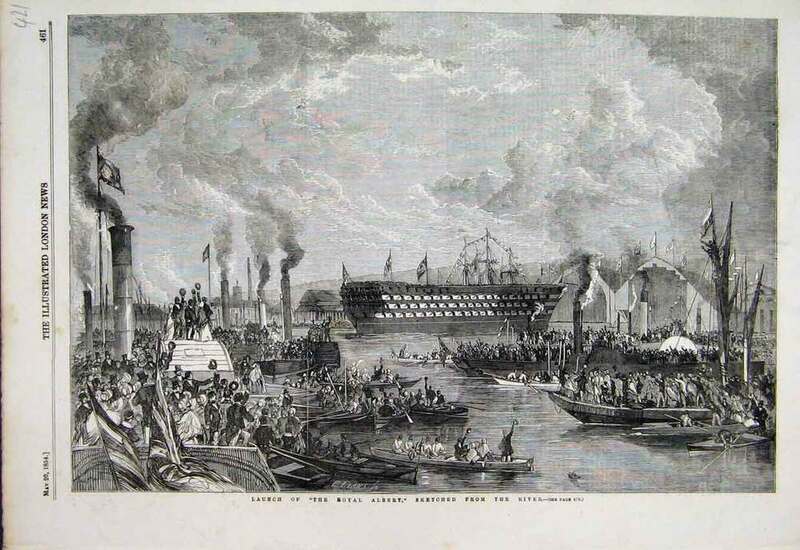 In the London Gazette of Tuesday, 2 December 1851, he is listed as one of the seamen on the Daring awarded The Congressional Medal by the USA Government for "their exertions in saving several of the officers and crew of the United States brig "Somers" in the harbour of Vera Cruz, on the 10th December 1846"
March 1881: Living as Coastguard Pensioner at 22/23 Caves Rd. at St. Leonards, Hastings, Sussex, England with his wife Eliza A. and seven of their children. Charles was the manager of the St. Leonards Parochial Temperance Club at 22/23 Caves Road. His daughter Eliza Britton (formerly Thomas) was not in residence. March 1891: Living at 15 Caves Road at St. Leonards, Hastings, with his wife Eliza A. and four of his children. March 1901: Living at 15 Caves Road at St. Leonards, Hastings, with his wife Eliza A.